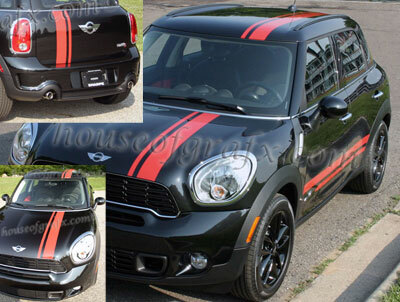 You will receive a pair of logo rockerstripes for any model Mini Cooper, Cooper S, Countryman, Clubman, Coupe, Paceman etc. 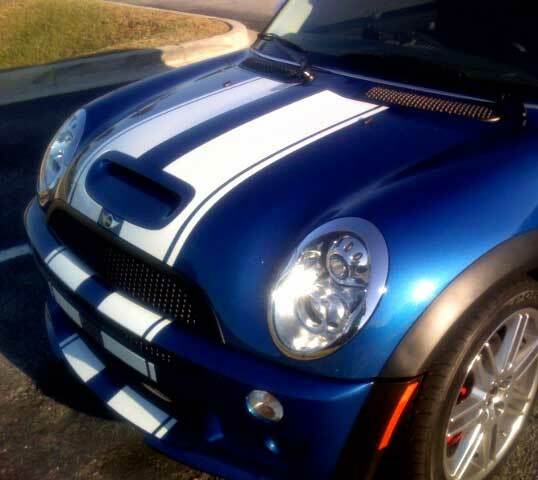 Kit includes drivers side, passengers side, transfer tape applied & install instructions. Cut fresh when ordered in the color you choose. All orders cut fresh from a fresh roll. No old vinyl sold here! Can be applied to any hard, smooth surface.